Head for the islands with these dreamy drops. 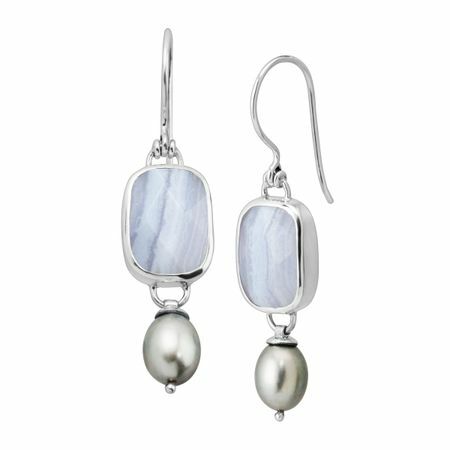 Natural blue lace agates are bezel-set in sleek sterling silver, while grey freshwater pearls suspend at the bases of each earring. This piece is part of our Balinese Collection, inspired by the beauty of Southeast Asia and handmade in Bali using ancient silversmith techniques. Earrings measure 1 7/8 by 7/16 inches and feature French wire back findings.